Organisations that invest in making their online PDFs accessible should be aware that much of their good work could be undone by the way their websites are configured. However, there is an easy solution. Conspicuous by its absence from this list is accessibility. To put it mildly, the accessibility of PDFs rendered in browser plug-ins is awful, for almost every assistive technology in every browser. In short, all the care and effort that you put into ensuring that your PDFs are authored correctly may be completely lost on your readers. The article also lists similar instructions for Chrome and Safari on Windows and Mac, as well as for Firefox on Mac. 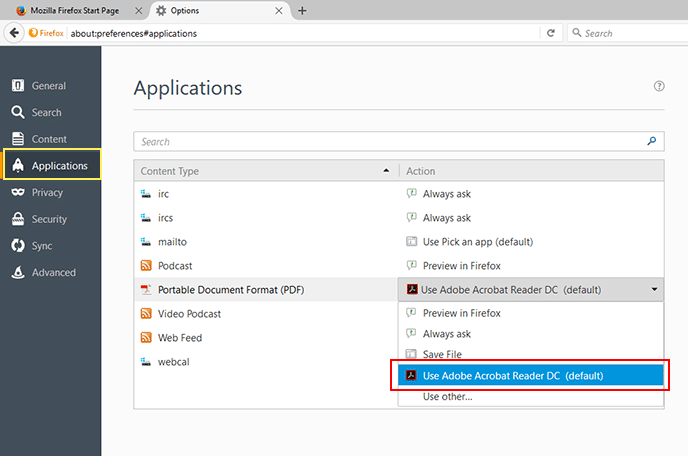 Once done, your online PDFs will open in Adobe Reader or Acrobat Professional and, if authored correctly, will be fully accessible to screen readers, magnifiers, literacy software solutions and more. In addition, important accessibility features such as text/background colour customisation and text reflow will also be available (they aren’t in any browser plug-in). But of course, the above solution depends on the end user knowing that there is a problem and how to fix it. In many cases this will not be a safe assumption. Organisations that care about the accessibility of their PDFs should therefore consider addressing the problem at source, by configuring their websites so that PDFs open by default in Acrobat or Adobe Reader. Fortunately, as stated earlier, the solution is simple. If you work for a large organisation your IT department will know of several ways of forcing PDFs to open in a dedicated PDF viewer, rather than in a browser plug-in. Doing so should be just a few minutes’ work, after which all PDFs on the site will open as desired. For those who manage their own sites, the following article by Sybren A. Stüvel, Offering PDFs that download, explains how to fix the problem for a range of different servers. We have advocated this kind of solution in our Accessible PDFs from Acrobat training courses for the past 10 years, and will continue to do so for as long as the problem persists.